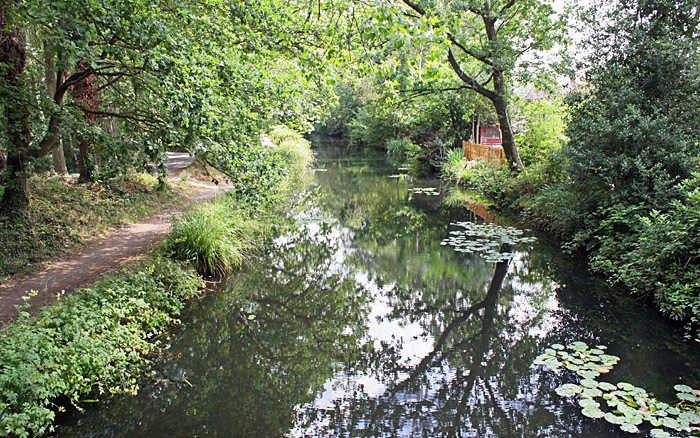 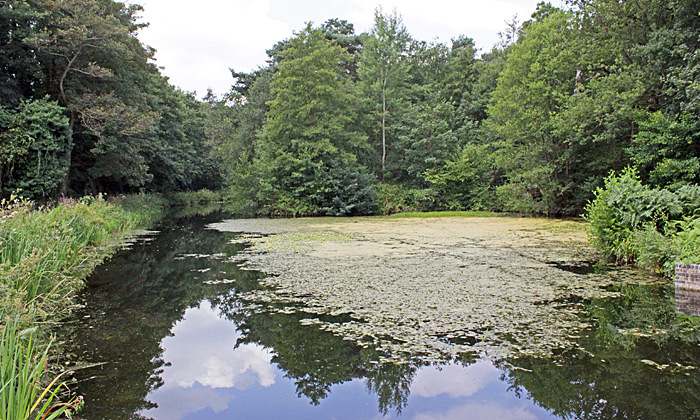 On a warm summer day with sunny intervals a good crowd of Quekett members, spouses and friends came to Brookwood Memorial Hall for a day collecting from and alongside the Surrey stretch of the Basingstoke Canal, a Site of Special Scientific Interest that we visit each year. 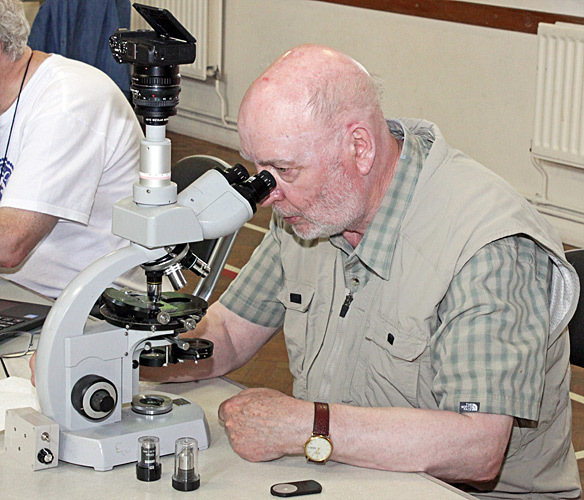 As members arrived, they set up their microscopes, cameras, computers, nets, jars, trays, keys and books on tables in the hall, and then set off for the short walk to the canal in small groups. 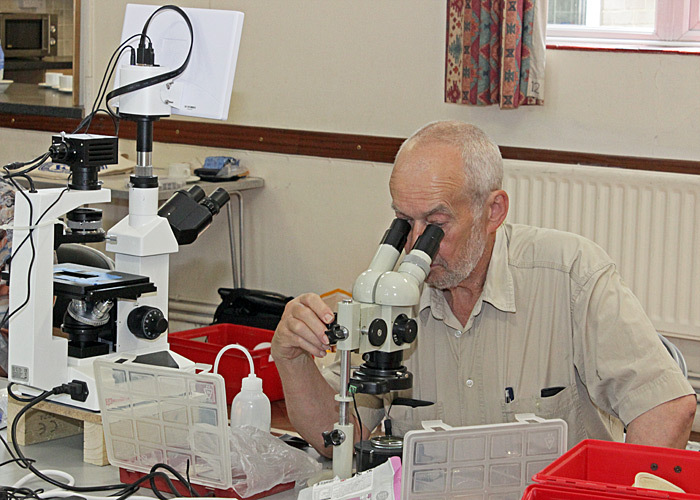 Anne Algar and Dennis Fullwood stayed behind to guard our equipment. 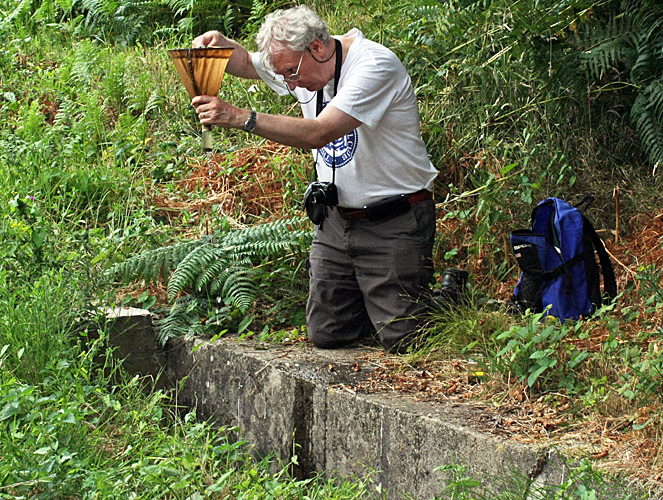 We started at Sheets Heath Bridge and walked along the path (unfortunately now popular with speeding cyclists) to the start of the Deepcut flight of locks just past Pirbright Bridge, looking for interesting specimens in and near the canal. 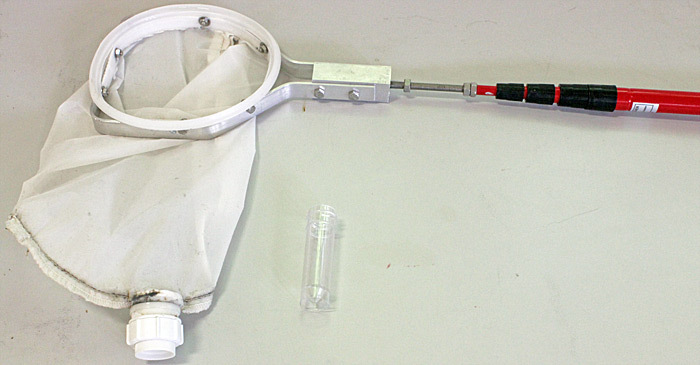 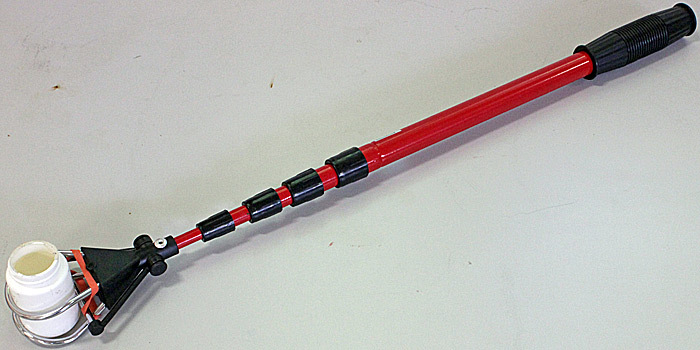 Plankton nets often come with multi-section handles so that you can assemble the length that you want. 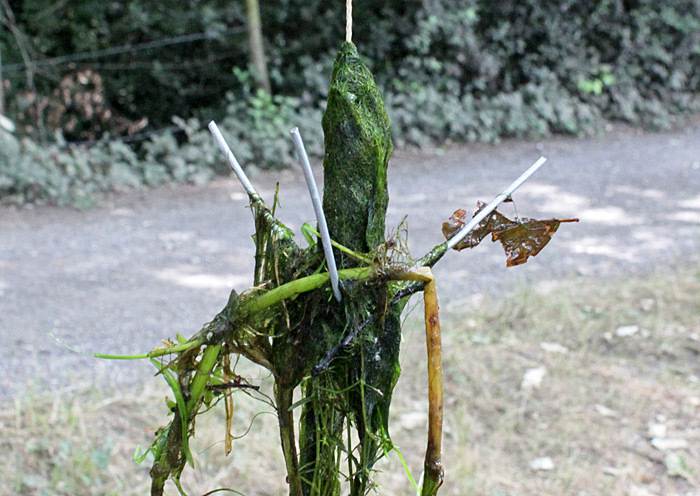 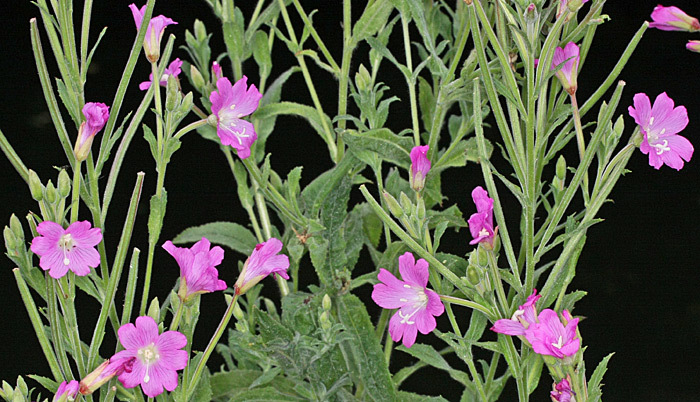 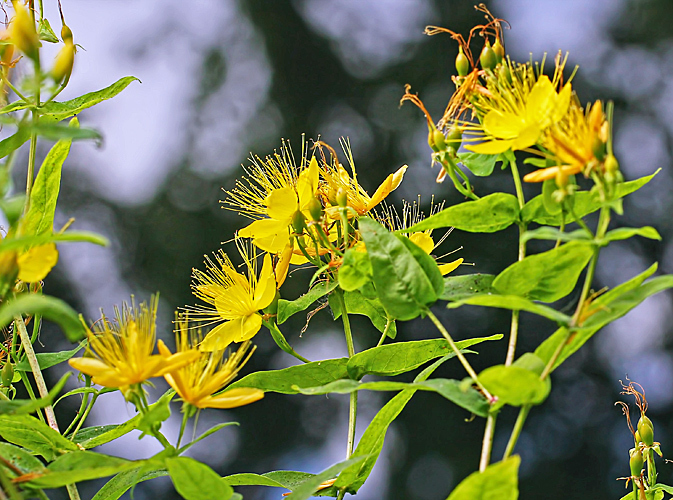 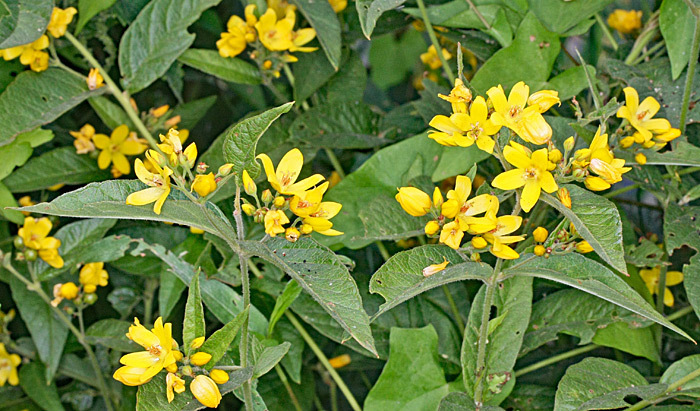 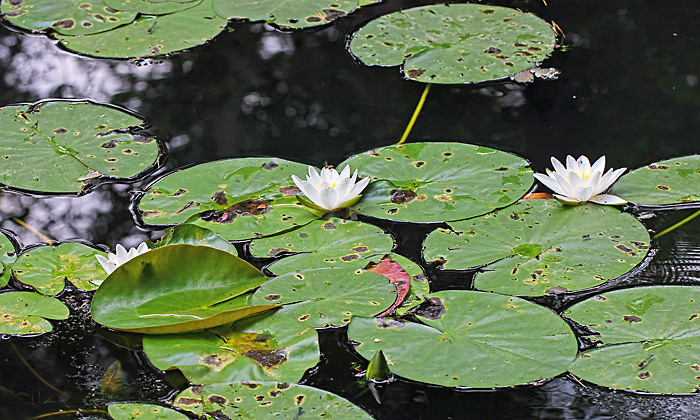 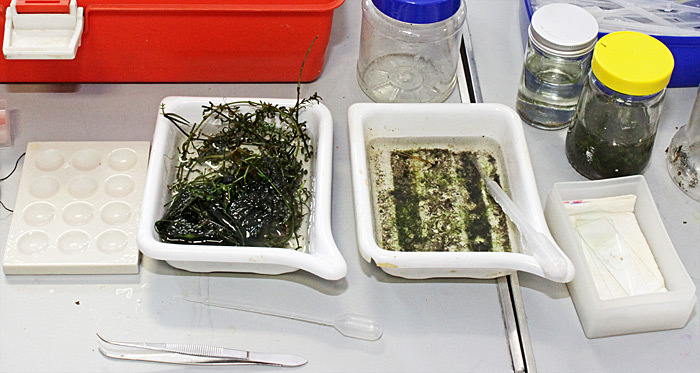 A weed drag is useful for collecting samples of aquatic plants. 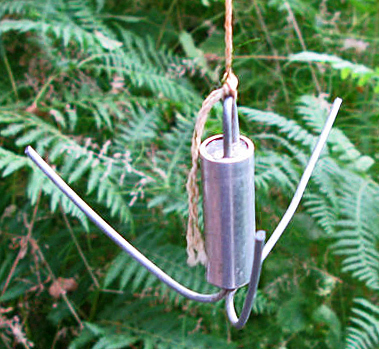 Tie the string to your wrist so that you do not throw the drag too far. 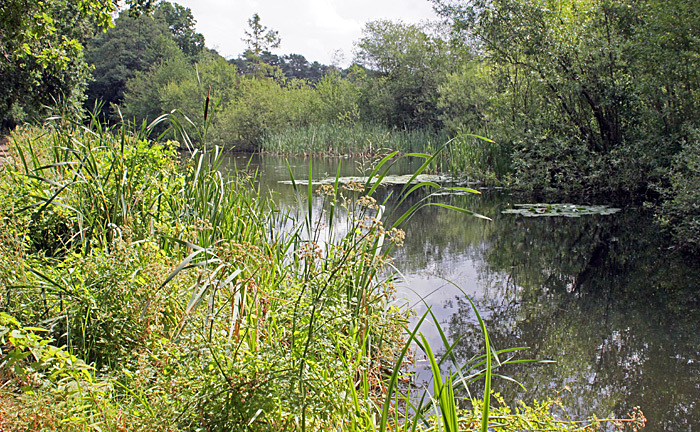 The vegetation near Pirbright Bridge has recently been cleared, revealing a culvert that we had not seen before. 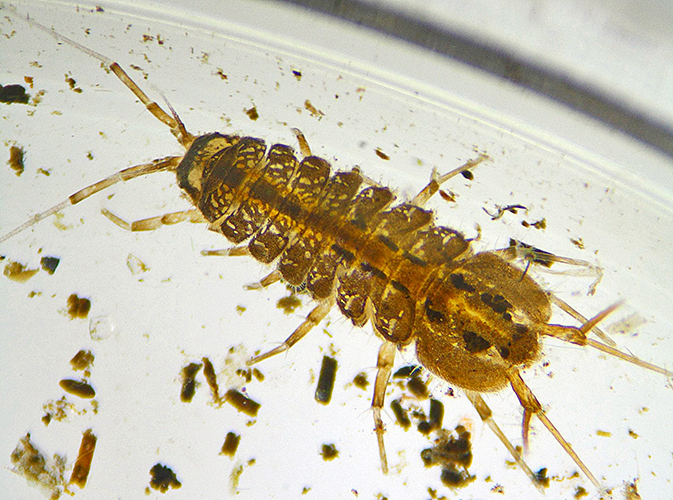 Graham Matthews found several caseless caddis larvae there. 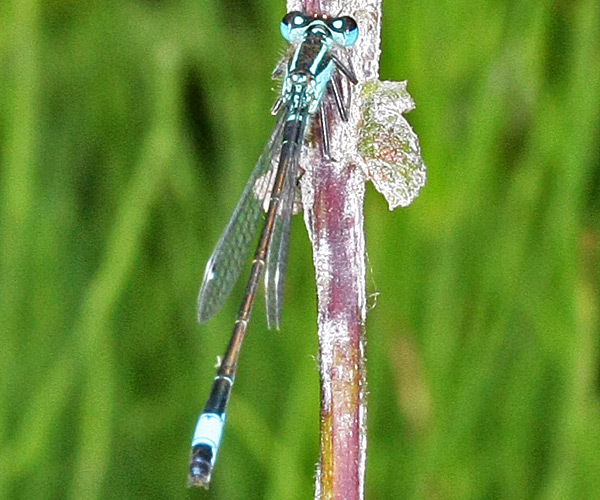 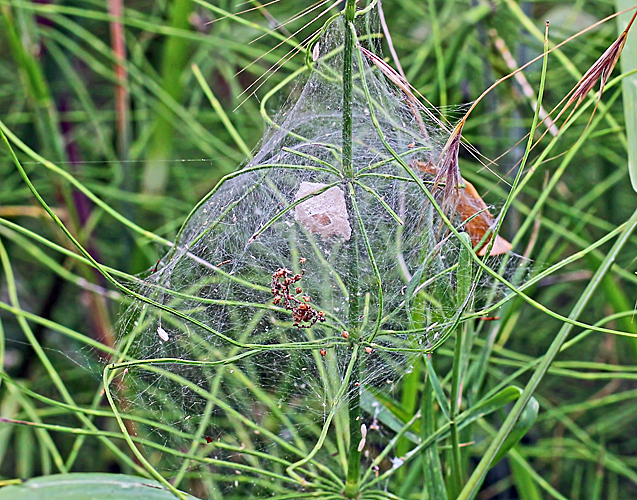 Alongside the canal, we saw a few butterflies and dragonflies, several damselflies and the expected plants. 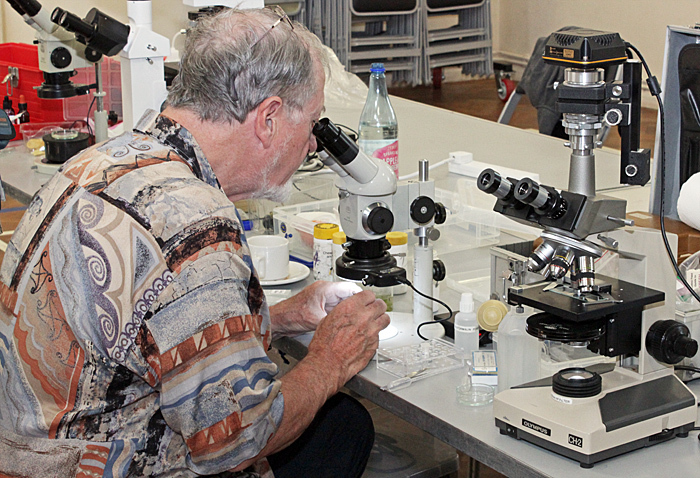 Back in the hall, we started examining, photographing and identifying our specimens. 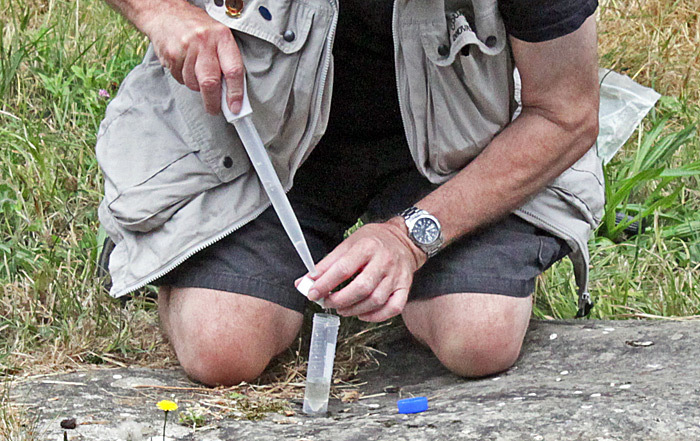 It is always interesting to watch the more experienced members at work, spotting and isolating nice specimens from their jars and bottles and then photographing them. 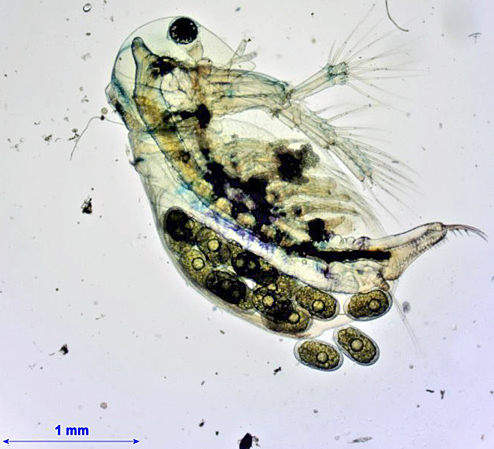 You can see some of the photomicrographs at the end of this report. 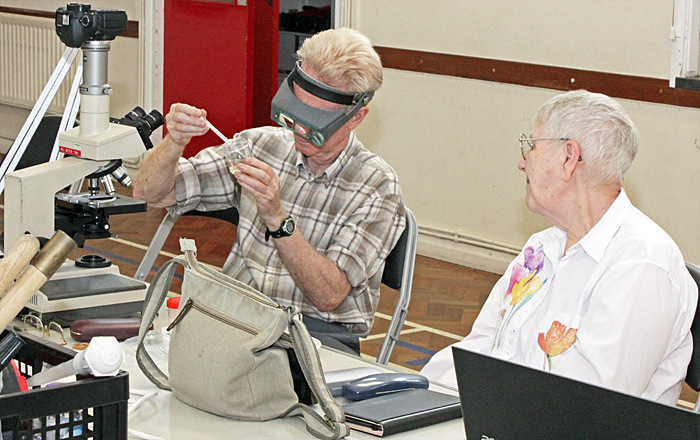 As expected at a Quekett meeting, there was lots of useful gossip, including modifying a microscope for photography, which subjects for polarised light respond best to retarders, and recent guides for identifying specimens. 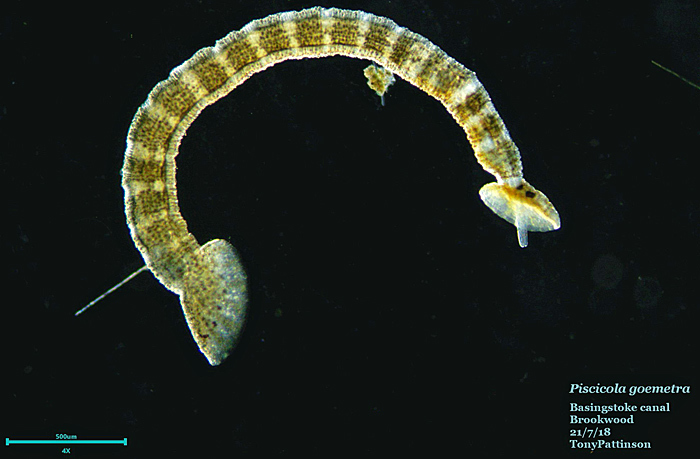 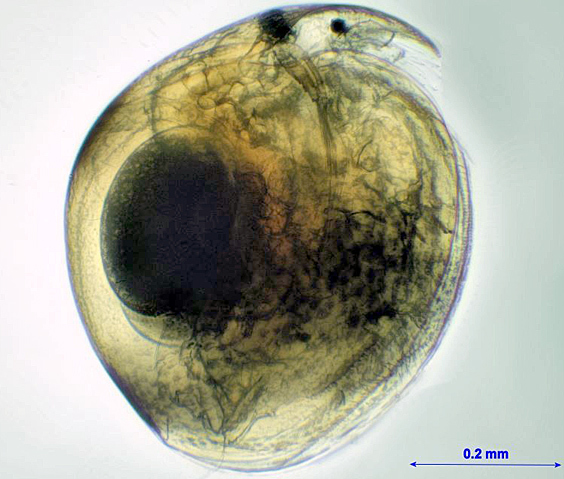 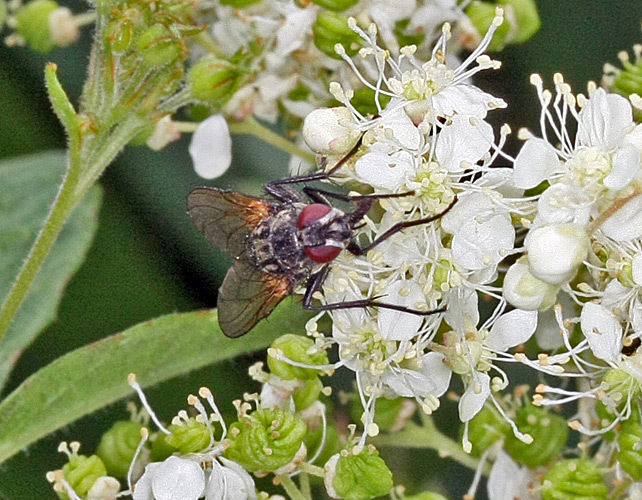 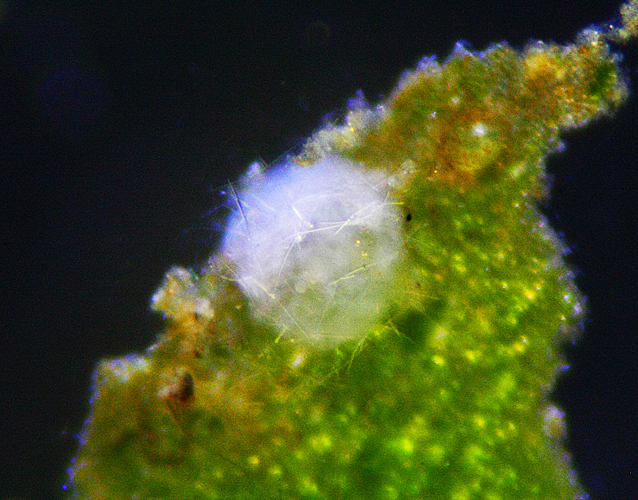 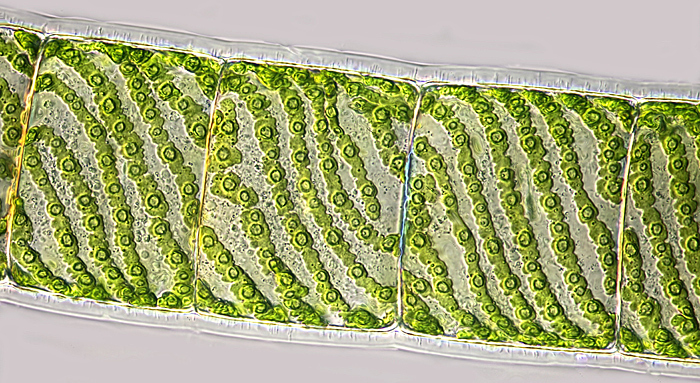 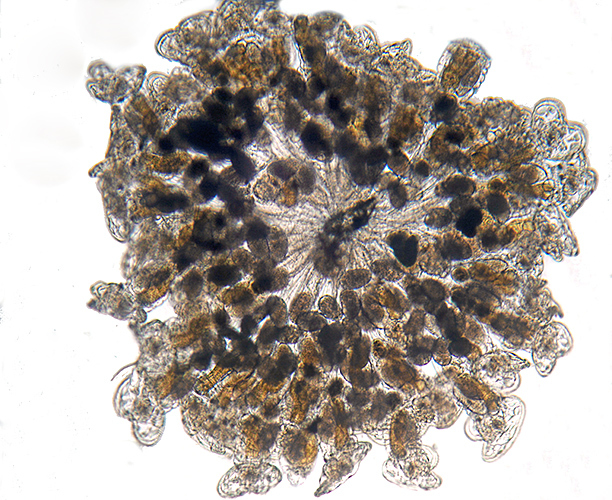 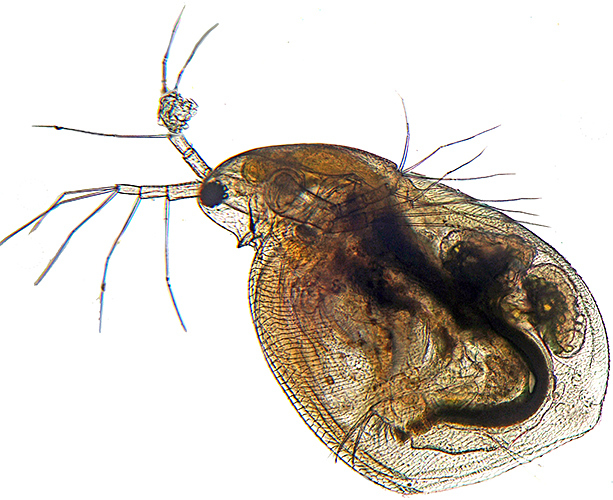 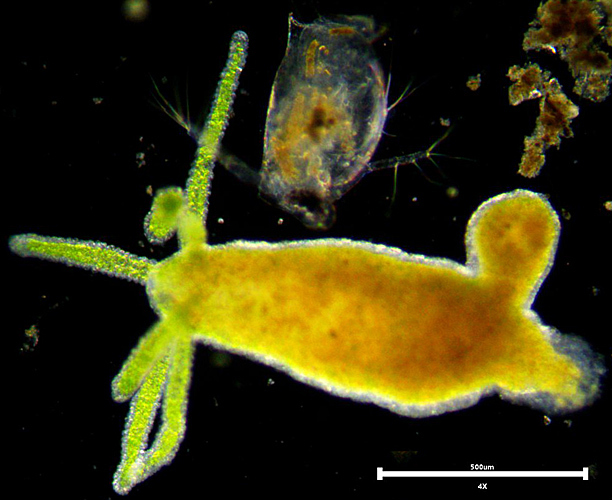 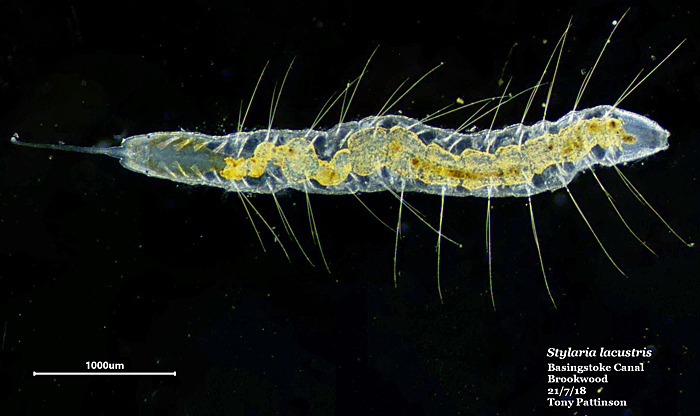 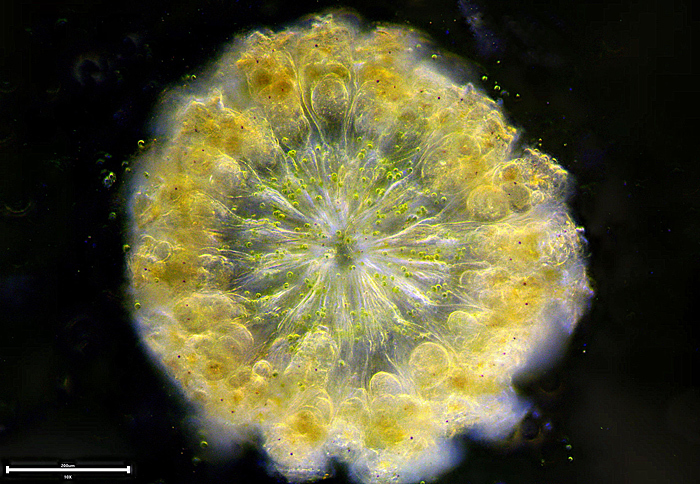 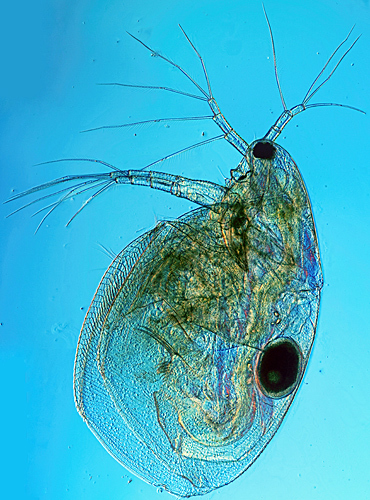 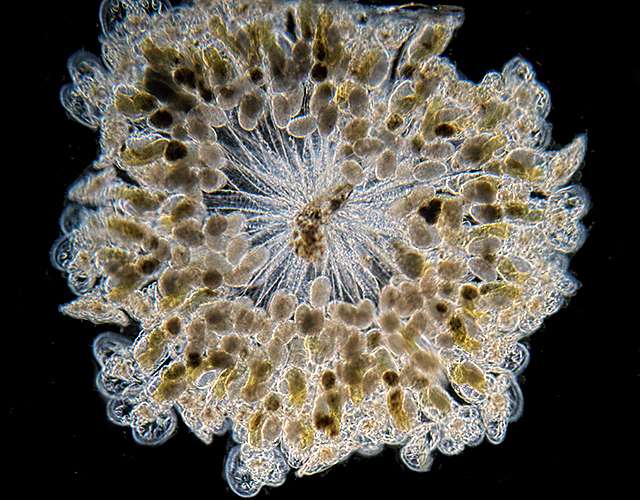 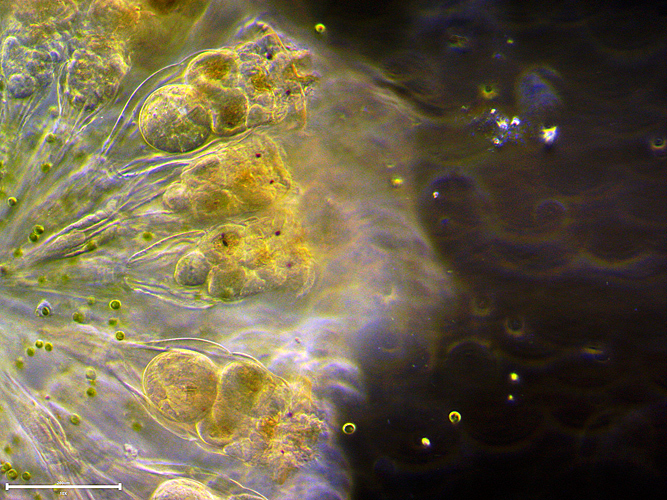 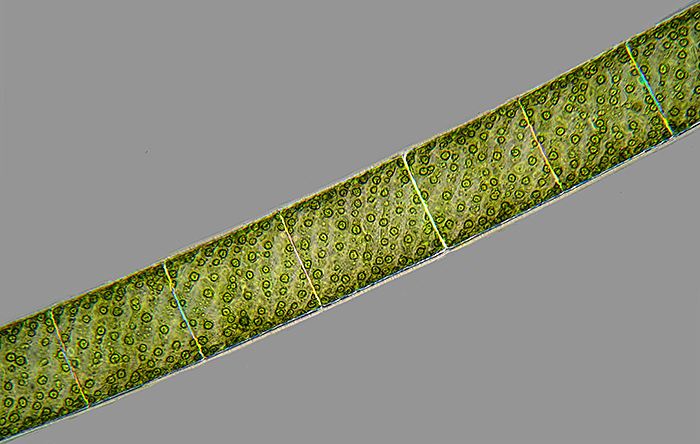 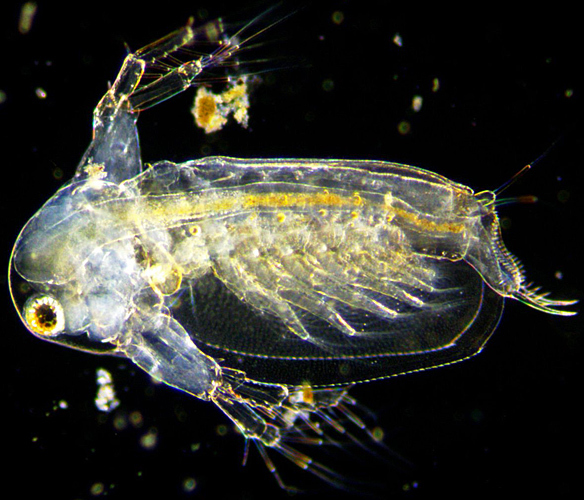 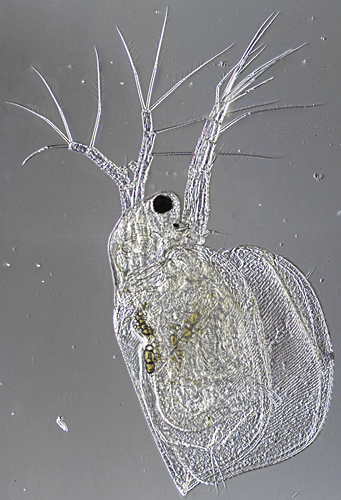 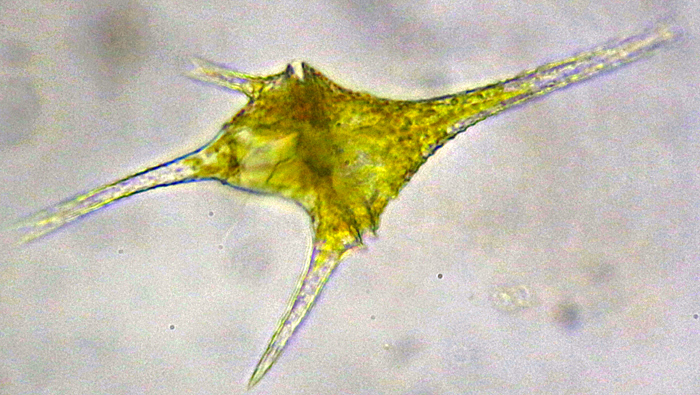 Chris and Anne Algar used their trinocular Olympus BHS microscope and Canon EOS digital SLR camera. 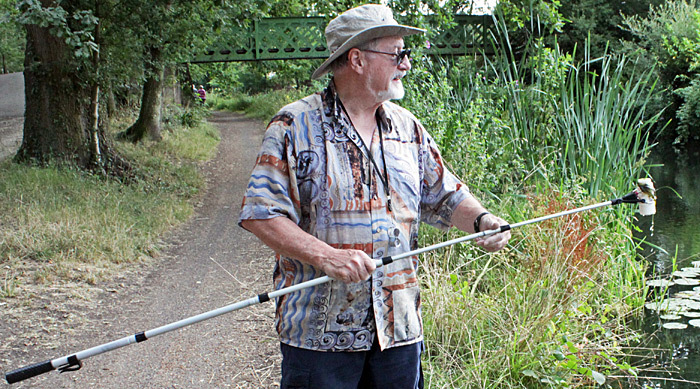 The hands-free magnifier that Chris uses is a MagniVisor. 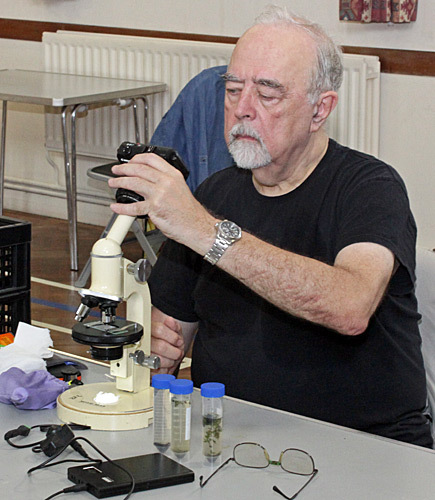 David Linstead borrowed a Zeiss Standard microscope (with LED conversion) from Graham Matthews but used his own camera, a Canon EOS M3 with a Minolta 45 mm lens attached to a Leitz Periplan GF 10× eyepiece (an afocal arrangement). 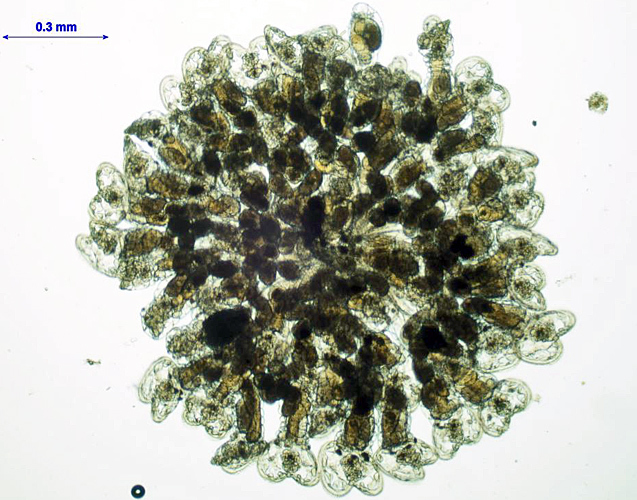 You can see some of David’s photomicrographs at the end of this report. 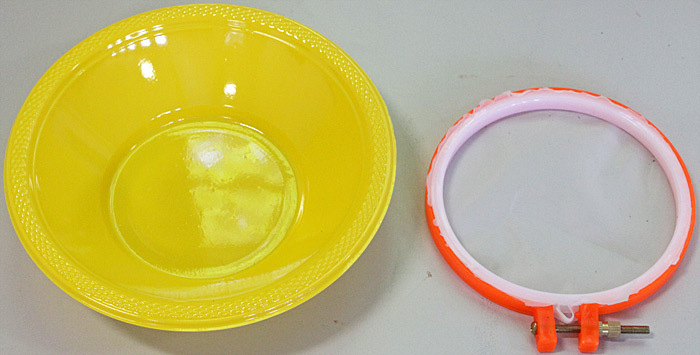 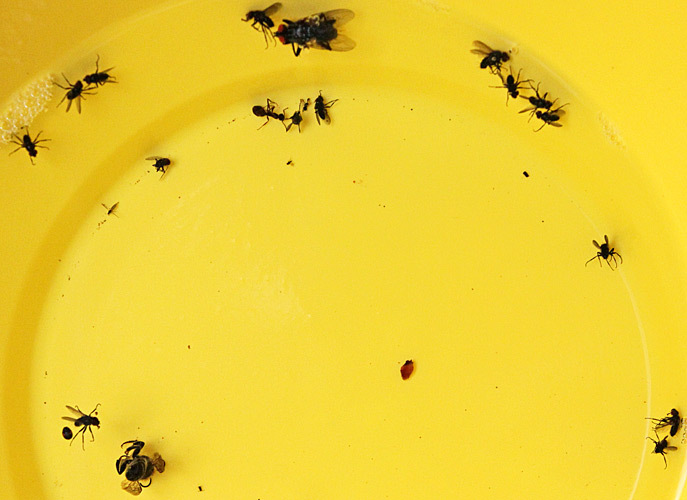 Dennis Fullwood set out some yellow pan traps (picnic bowls with some water and a drop of washing-up liquid) for insects in the garden of the hall. 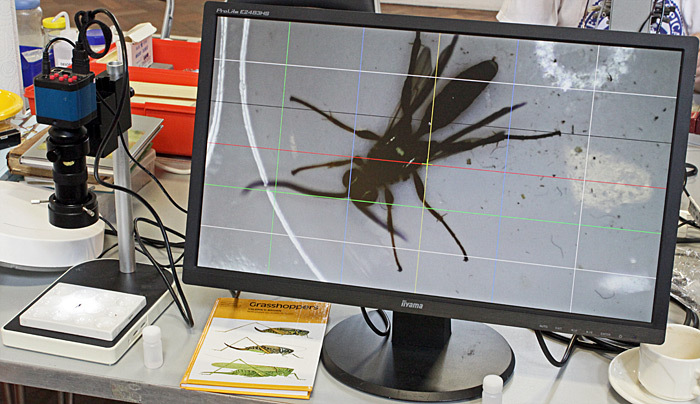 To examine the flies, Dennis used his Chinese inspection camera connected to a monitor. 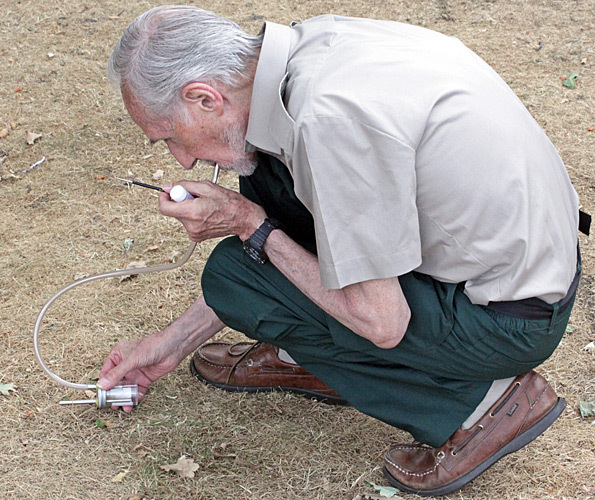 Dennis also used a pooter (aspirator) to collect ants for the Practical Microscopy Weekend at Flatford Mill. 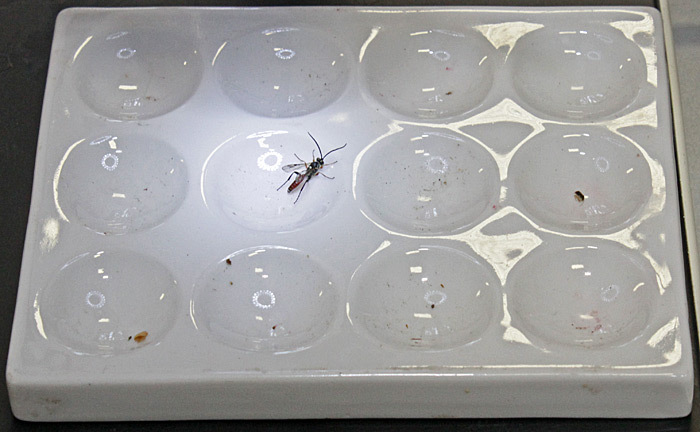 It can be awkward to pick insects out of the trap, so Dennis recommends pouring the water through a 100 µm polyester mesh held in an embroidery hoop. 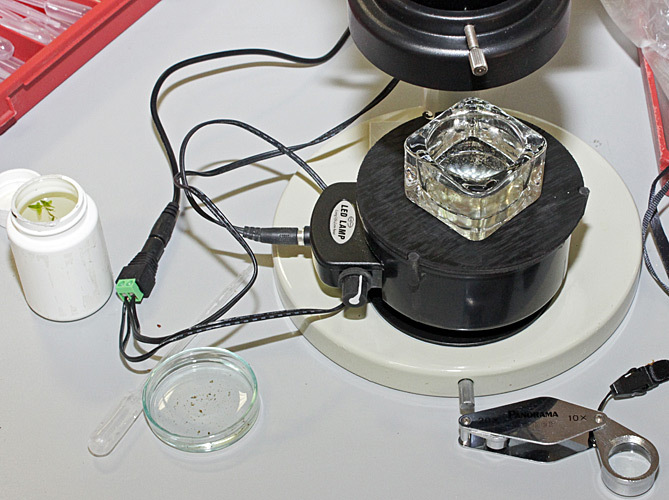 The hoop can then be put under a stereomicroscope. 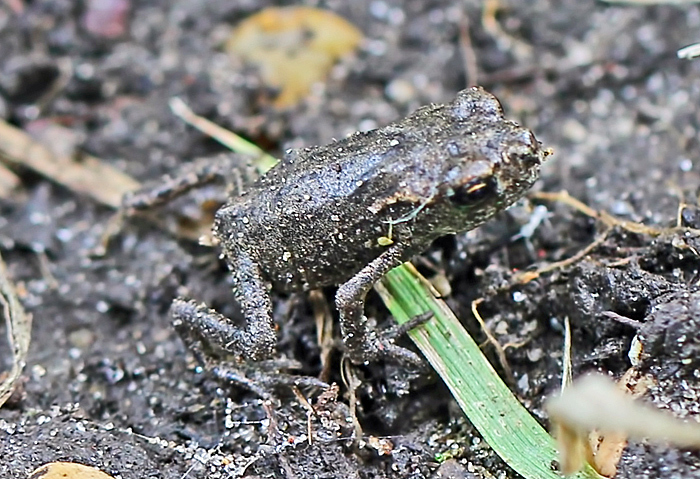 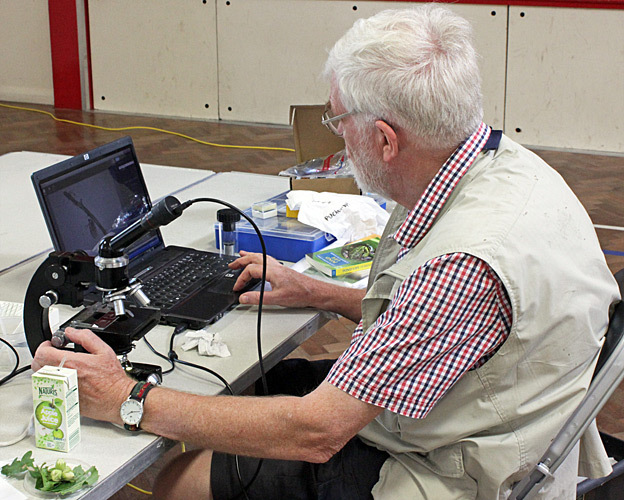 Graham Matthews used his trinocular Leitz Dialux with DIC, a Canon EOS 500D camera and a laptop running DSLR Remote Pro. 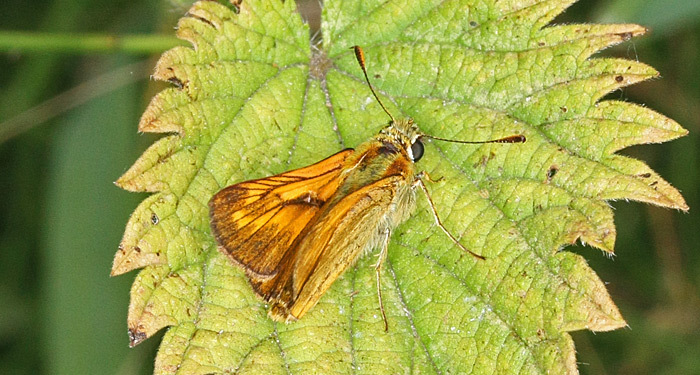 He used a modified electronic flash for lighting, varying the output to obtain correct exposure. 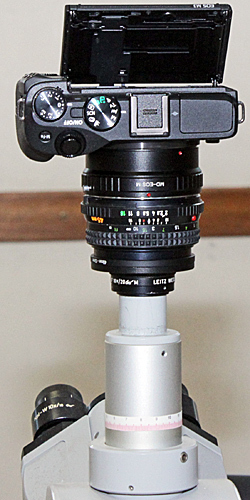 The camera is connected via a Tominon 50 mm f/4.5 enlarging lens and a Zeiss Kpl 8× eyepiece, an afocal arrangement. 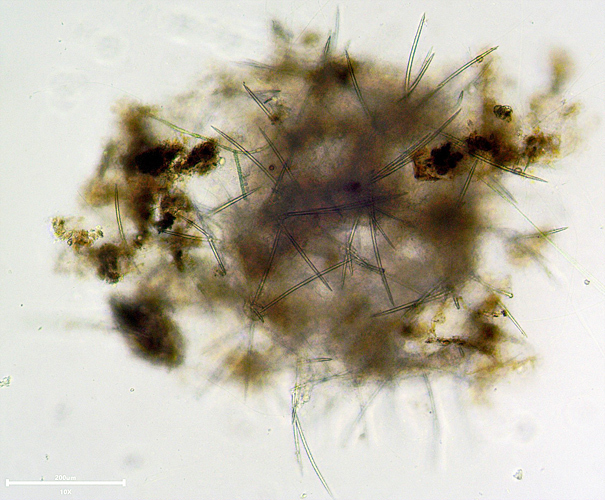 You can see some of Graham’s photomicrographs at the end of this report. 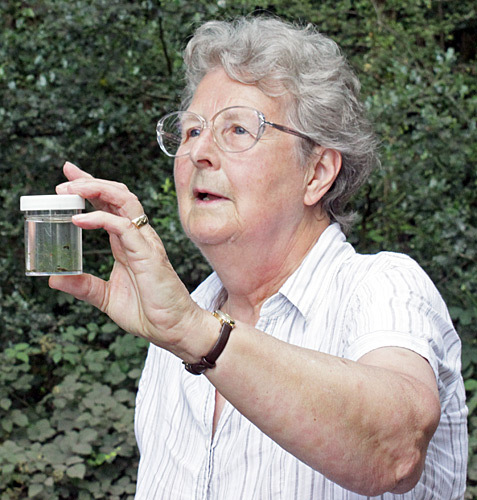 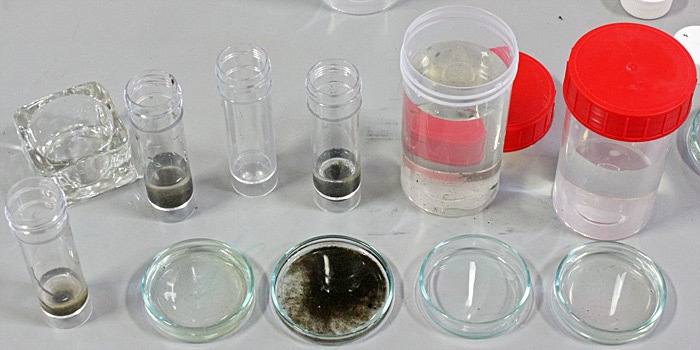 Mary Morris used her Watson stereomicroscope to examine the material that she collected from the canal. 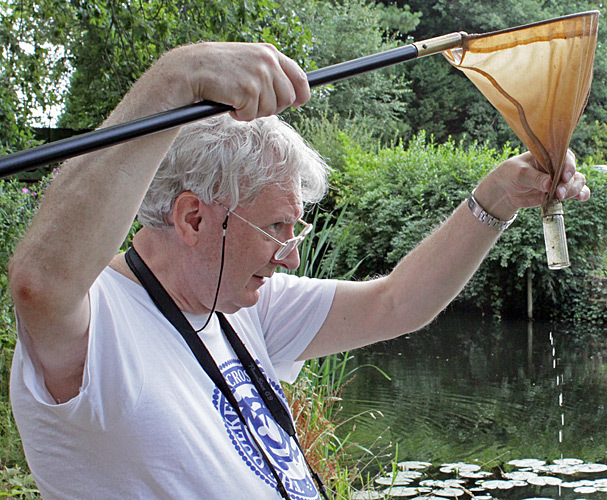 She brought some nets for collecting, and a good collection of keys for identifying specimens. 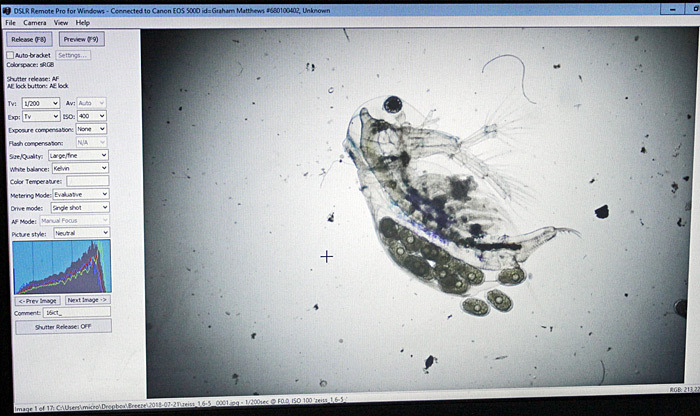 Neil Henry used his PZO monocular microscope with the eyepiece replaced by a YW5.0M USB camera connected to a laptop with ToupView software. 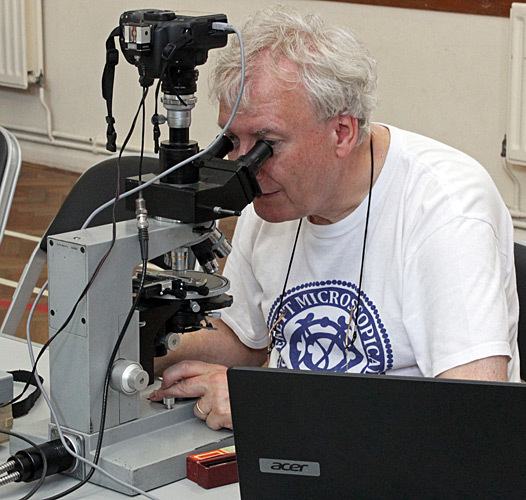 Paul Smith used his Wild M11 compound microscope with gliding stage. 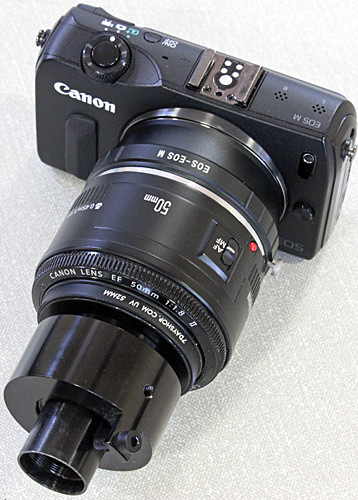 To take photographs, he used his Canon EOS M mirrorless camera with a Canon EF 50mm f/1.8 lens (an afocal arrangement). 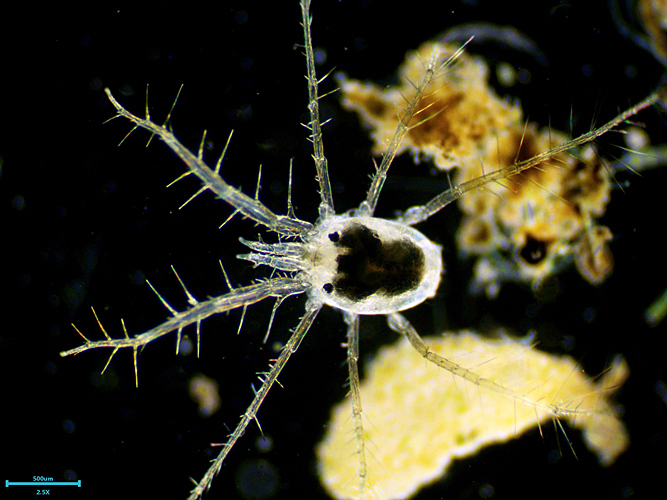 You can see some of Paul’s photomicrographs at the end of this report. 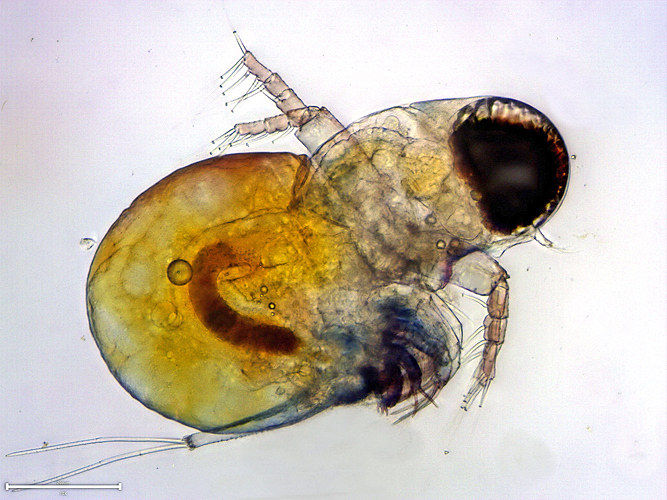 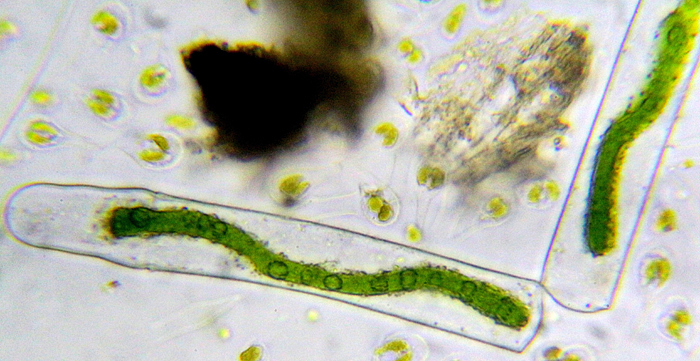 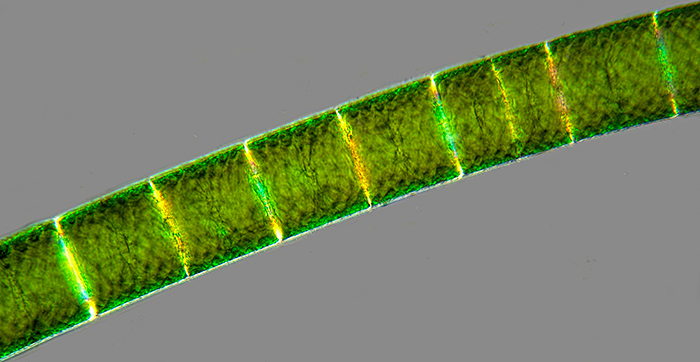 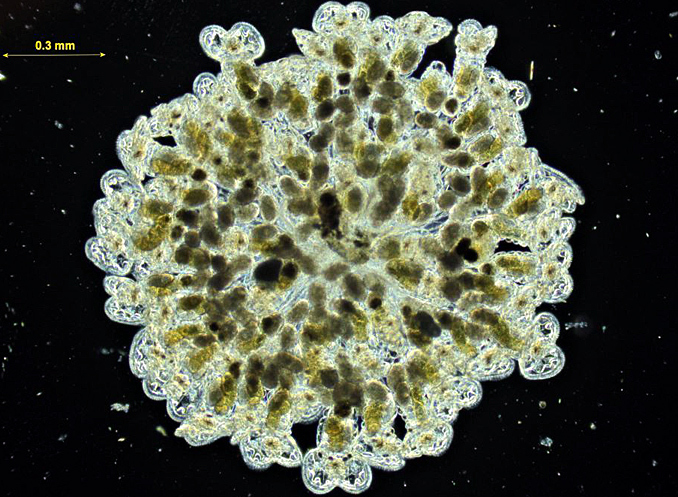 Peter Wakeman used his PZO stereomicroscope to examine specimens in small Petri dishes, before using his trinocular GXM-XDS-1 inverted microscope for a closer look. 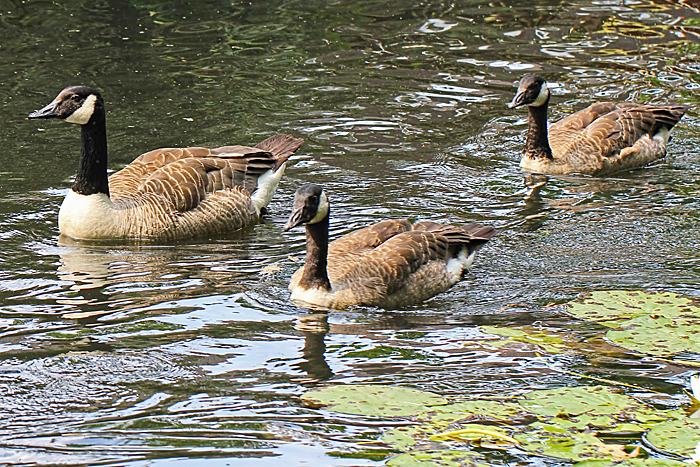 To take photographs, Peter used a GXCAM HiChrome-MET camera and screen, connected via a 0.45× adapter. 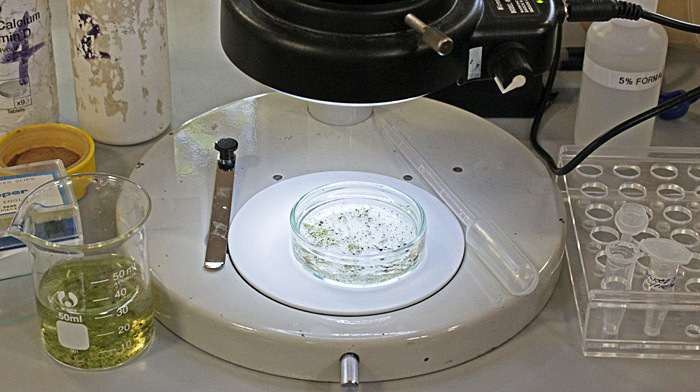 Tony Pattinson used his PZO stereomicroscope to select interesting specimens in small Petri dishes, before transferring them to slides. 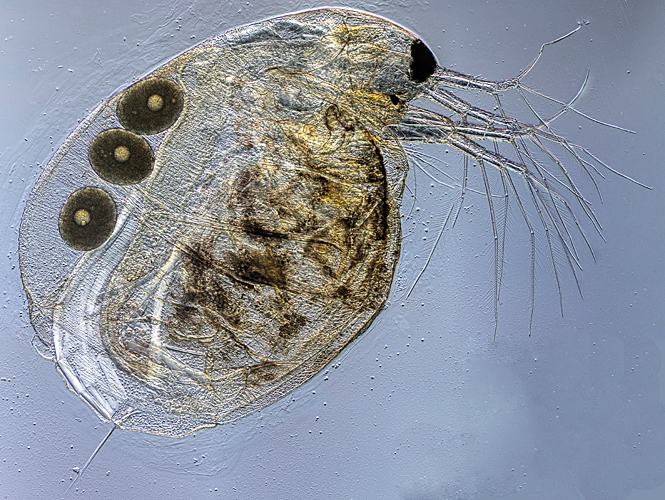 For a closer look, Tony used his trinocular Olympus CH-2 microscope, fitted with a 5-way nosepiece and an LED conversion. 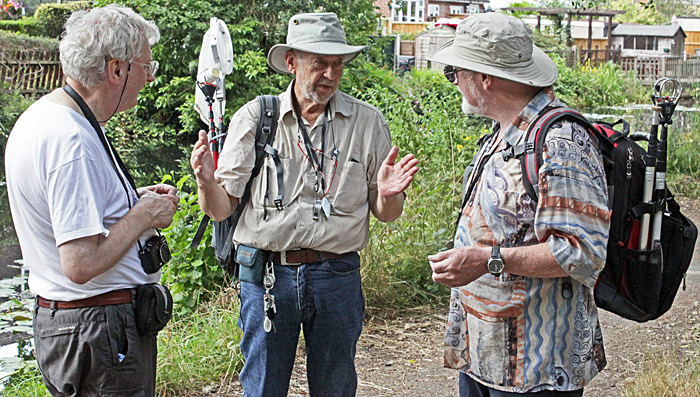 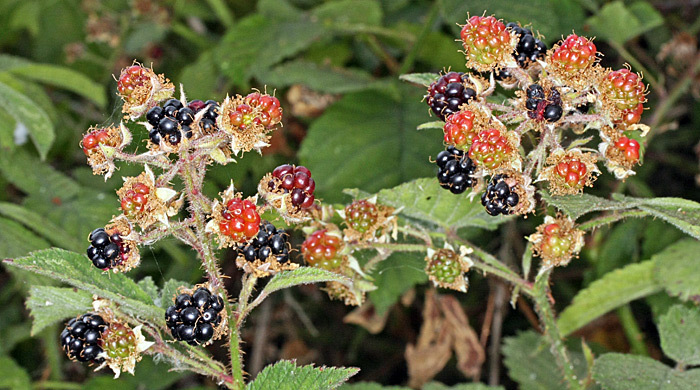 To take photographs, Tony used his 5 MP ToupTek camera connected to a laptop running ToupView software. 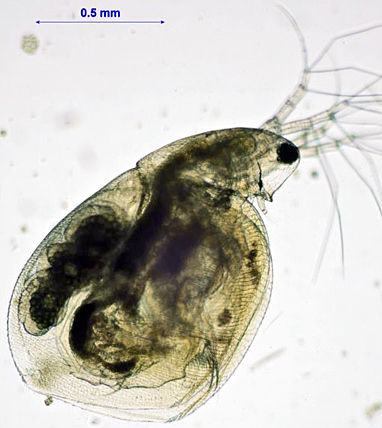 The camera is fitted with a 12.5 mm Cosmicar lens for afocal coupling, and the distance between the camera lens and the microscope eyepiece can be adjusted using a compact Asahi Pentax bellows unit, to make the arrangement parfocal and to minimise vignetting. 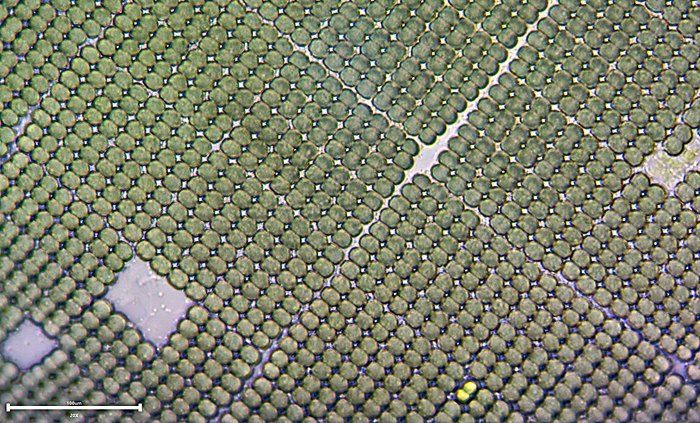 For some specimens, Tony uses a 3 mm tall ceramic ring to produce a deep cell; the ring is held in place by surface tension. 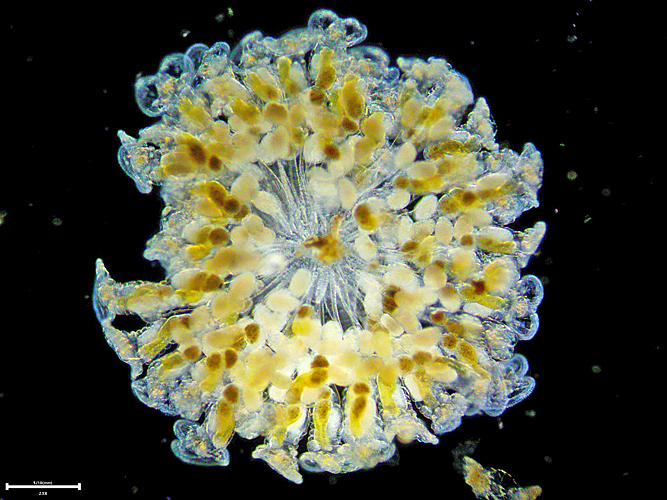 You can see some of Tony’s photomicrographs at the end of this report. 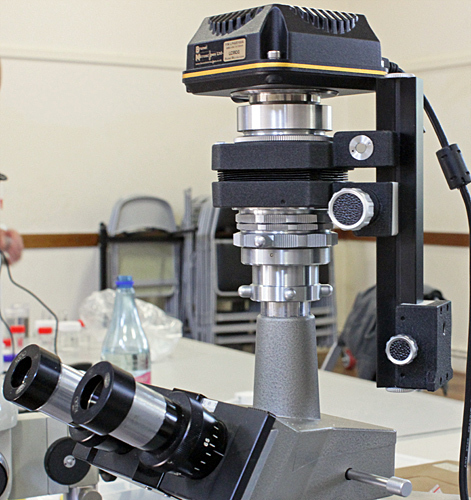 We were also able to examine the range of collecting equipment that members have bought and/or modified. 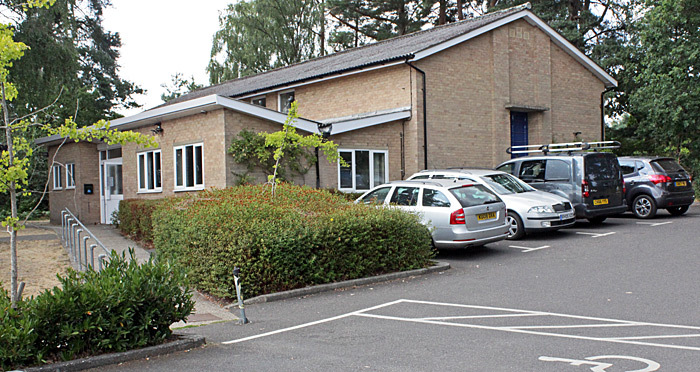 Visitors during the day included Pat Morris, Noi Matthews, Joan Bingley, Fleur White and Thanya Nirantasook.